Total bounty up to 20,000,000 morty ! Telegram Channel - Twitter - sub Reddit. • Claim our tasks and post them in this Microverse Bounty thread for your reference. • Translation/Article/Reddit/Twitter campaign Tokens will be awarded within two weeks after your reply status updated. • Signature campaign Tokens will be awarded on the first week every month. • Telegram group campaign Tokens will be awarded once meets our requirements. if you are cheating or spamming forums. • Microverse reserve the rights to change or stop campaigns. Stage II - Keep your thread active . You must keep updating your thread according to Microverse’s latest ANN thread. Microverse team will check the work quality, if the translation is not considered "good job" by the community, you will not get paid for your work. Steemit/Medium/etc, explain clearly what we do and how we do it. Microverse team will review your post to determine the reward by your article quality, views, replies etc. • Follow our official subreddit. • Do not spam & do not use multiple account, if you do, you will get banned. • Create a Telegram Group over 15,000 members. • 50%+ members must be active in the group. • Bot/Fake/Inactive account ratio must be below 10%. • The group admin must invite the Bounty Moderator to the group. • Group discussion must be limited to topics about Microverse. • Moderator has responsibility to maintain group order and remove spam. • Moderator has responsibility to collect member ETH address and distribute the members' awards. 2. Users are not allowed to change their signature in the middle of the campaign. 3. To be eligible for rewards All members need to post at least 20 valid posts per week. 4. If participant doesn't reach 20 valid posts before end of week, No morties will be counted for that week. 5. All posts must be in international board. 7. To avoid spamming, no more than 4 posts per day, otherwise it won’t be counted as valid. 1. Follow us on Twitter, stay up to date and retweet our news to your friends and followers. 2. Participant accounts must have at least 300 friends. Twitter accounts must be original and active. retweets have to stay public till the end of the Bounty campaign. 4. Two/three tweet/retweet every day max. Any proof you have done some contribution to Microverse rather than above , please list in this thread. ~5000 morties Every Task. if there is a suspect of their dishonesty. • Microverse team reserves the right to change the bounty rules at anytime. Thanks. Can I ask, How much is 20,000 morties worth? however, this is good job, and, as the first one contributing to Microverse society, we've decided to give you extra 10,000 as bonus. morties sent, please check this transaction. There are no clear rules for article bounty participants (language use) and there is no LINK for registration for the work of the article making ... can you explain? i think the thread explains itself very well. Can you please let me know what is not clear, specifically? in terms of registration, you just need to create a reply here, using the required format. 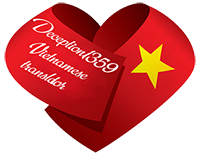 No Vietnamese language on BCT, so I can't post ANN in BCT. Bitcoingarden not a bad option. Thanks for your bonus. Thanks , i see microverse has a simplified version for users . I update this either .